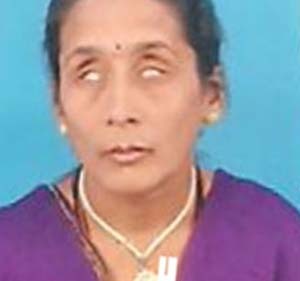 Manjula suffers complete visual impairment. She married an auto driver who promised to take care of her, however following the birth of her child he abandoned both of them. Her child now resides at an orphanage. She lives on a meager stipend of Rs.1,200/- per month. She is very hard working person and desires to study well to give a better life to her child.